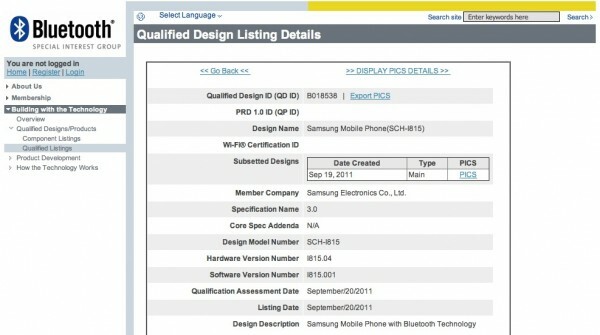 Samsung SCH-I815 Passes Through Bluetooth SIG, New 7″ Verizon Tablet? 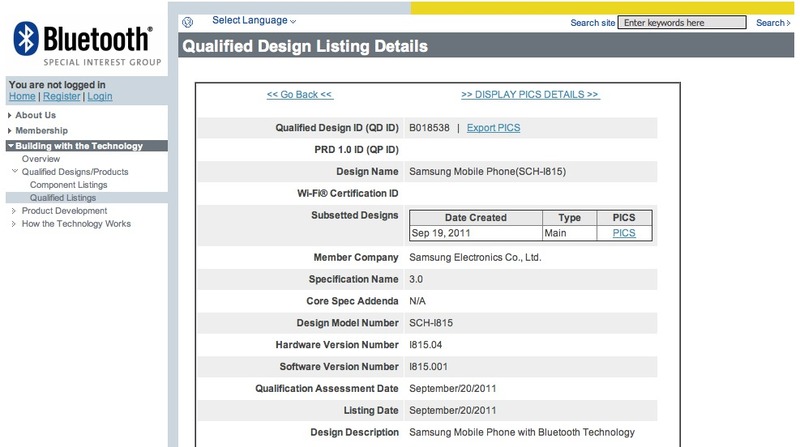 A mysterious Samsung device made its way into Bluetooth SIG on Monday with a model number of SCH-I815 that looks straight out of Verizon’s naming scheme. Whenever we see “SCH-” in a Sammie device, we almost always assume that it’s coming to Big Red (which it usually does). US Cellular sees an SCH device from time to time, but with this being new, we wouldn’t expect them to see it first over the nation’s biggest carrier. So what could it be? Well, we are thinking tablet. The original Galaxy Tab 7 was SCH-I800 which could mean this is a follow-up to it. Within the last couple of months, Samsung unveiled both 8.9″ and 7.7″ Tabs without carrier-specific plans, so this could easily be one of those. My question is, do we really need another carrier-branded tablet? Have any of them succeeded thus far?